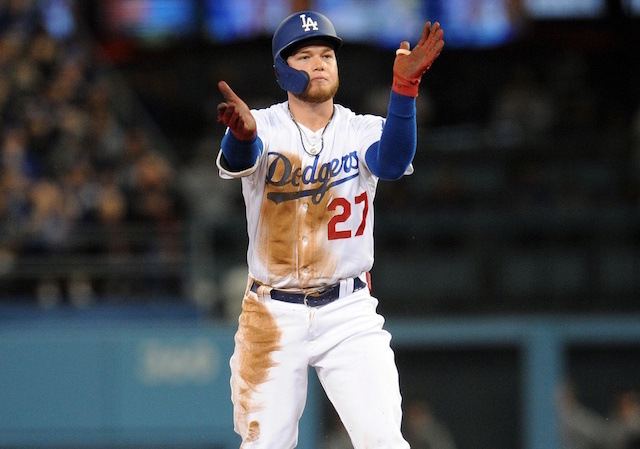 After watching Corey Seager, Cody Bellinger, Julio Urias and Walker Buehler all make an impact for the Los Angeles Dodgers over recent seasons, fellow top prospect Alex Verdugo envisioned himself doing the same in 2019. Verdugo produced back-to-back productive seasons with Triple-A Oklahoma City, which led to a general expectation he would begin the season on the Dodgers’ Opening Day roster. 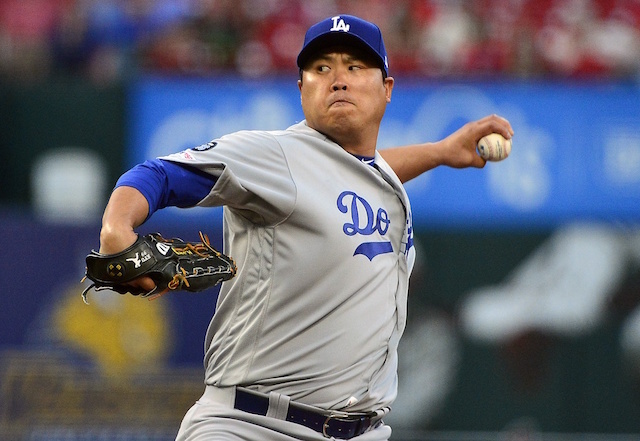 President of baseball operations Andrew Friedman and manager Dave Roberts alluded to as much, but there still remained a sliver of doubt. That was erased when Brad Miller opted out of his Minor League contract in favor of becoming a free agent, though Verdugo claimed to not be aware of any sort of competition for a roster spot. After initially receiving limited pinch-hit opportunities, Verdugo has seen his role increase as the season has wore on. He started in right field Tuesday night and delivered his first career three-hit game. Verdugo has now logged five at-bats against a left-handed pitcher, with three resulting in an extra-base hit: double, triple and home run. 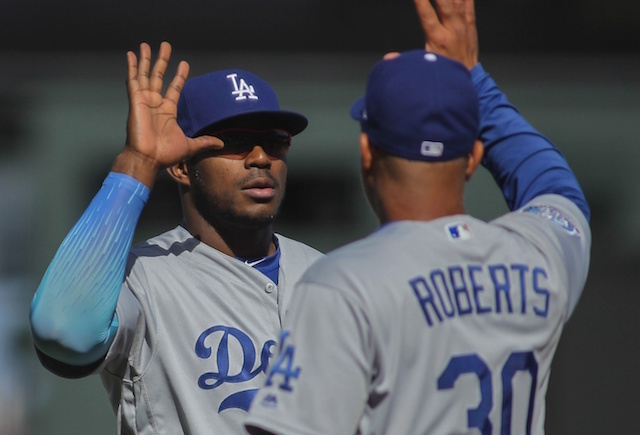 Roberts recently praised his young outfielder and credited him for capitalizing on whatever chances have come his way. 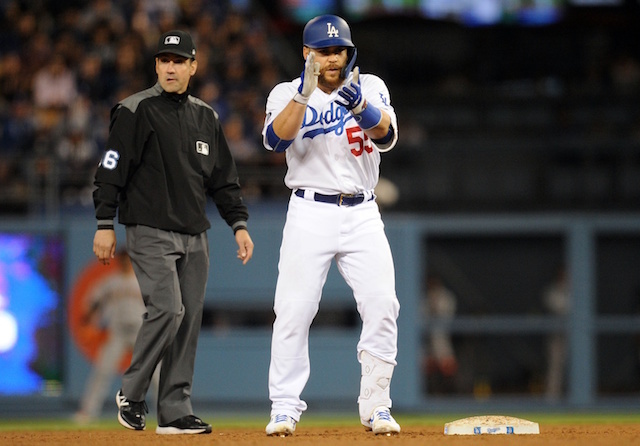 Roberts added Verdugo’s consistent at-bat quality was earning him more starts moving forward.